As part of our commitment to value new and existing customers, DFF2U referral program will reward our existing customers to invite new customers into our store. Upon successful referral, both existing and new customer will be rewarded a 5% voucher for your next purchase. 1. Reward of 5% discount voucher to new customer. 2. Reward of 5% discount voucher to existing customer (referrer). 3. No sign up fee and hidden cost. How our referral program works? For referer to receive 5% discount voucher, the invited customer must make payment on first order. 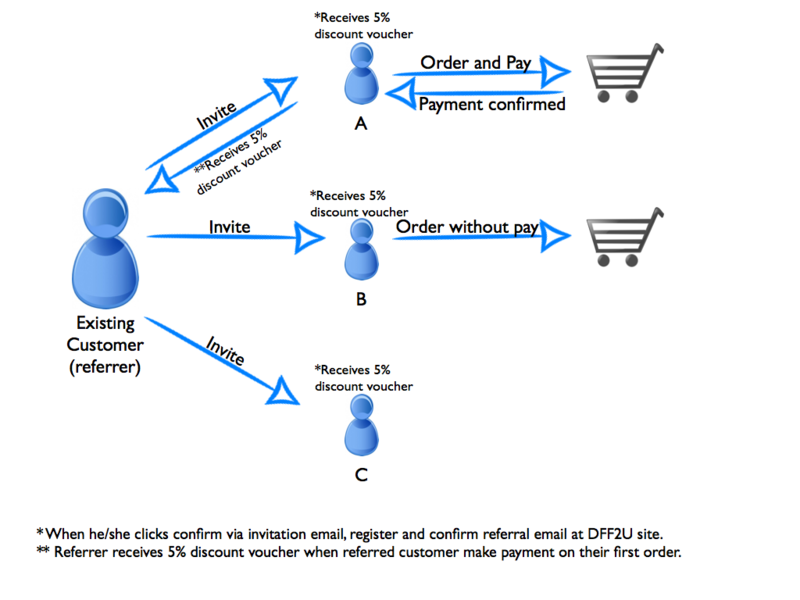 For the invited new customer to receive 5% discount voucher, the person must confirm the invitation and register from the received invitation email sent by DFF2U with the subject title '[DFF2U] Referral Program'. 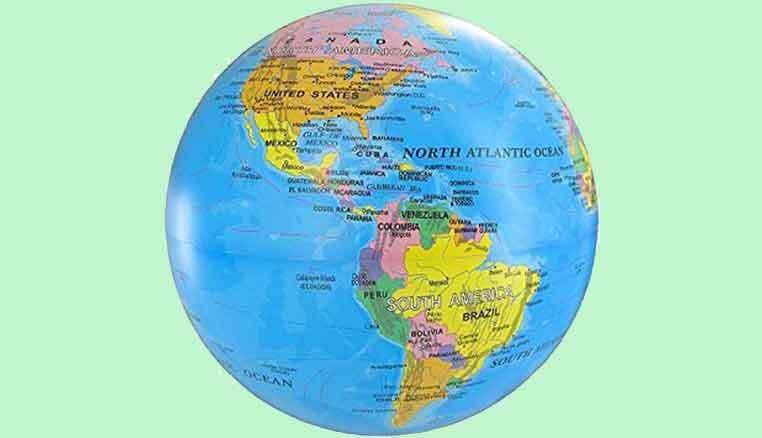 How to invite or refer to friends and families? Step 1/3: Log on into your account, click on 'Referral Program' on your 'My Account' dashboard. 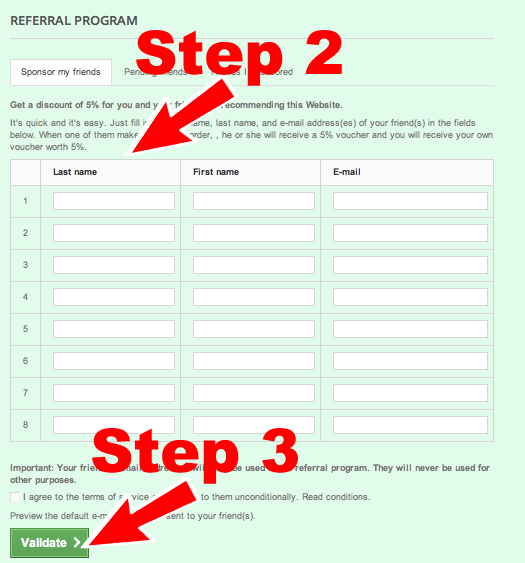 Step 2/3: Enter your friends/relatives Last Name, First Name and Email address. Step 3/3: Click on 'Validate' button. An email will sent to them for verification. You can always come to this page to check on their validation status.